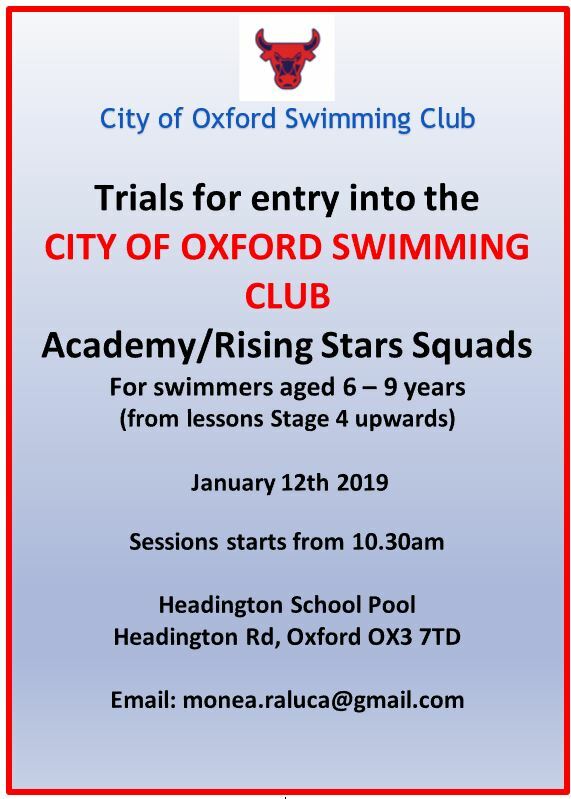 Swimmers aged 6 – 9 years (from lessons Stage 4 upwards) are welcome to attend these trials that take approximately 30 minutes. 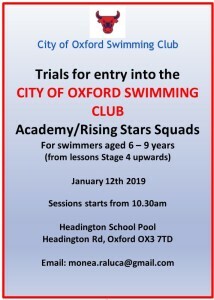 Sessions starting at 10.30am at Headington School Pool, Headington Rd, OX3 7TD. 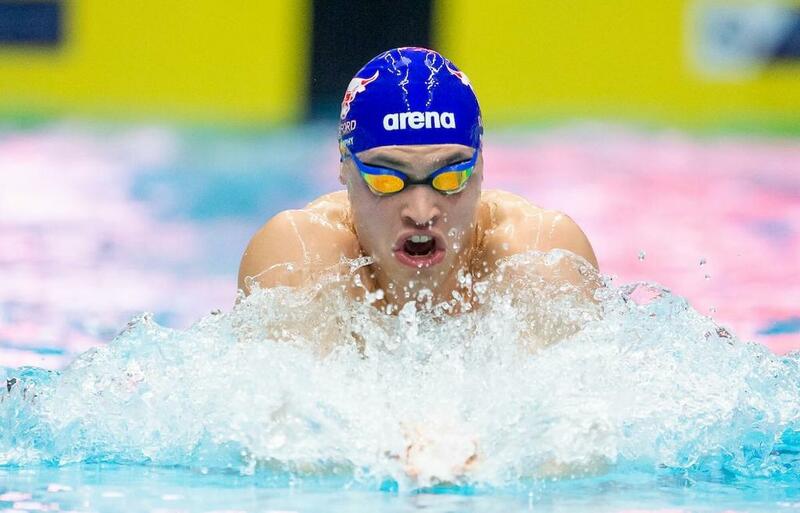 We look forward to seeing you at the open day and wish your swimmer good luck for the trials. Please note, all other membership enquiries should be made through our Contact Us page.